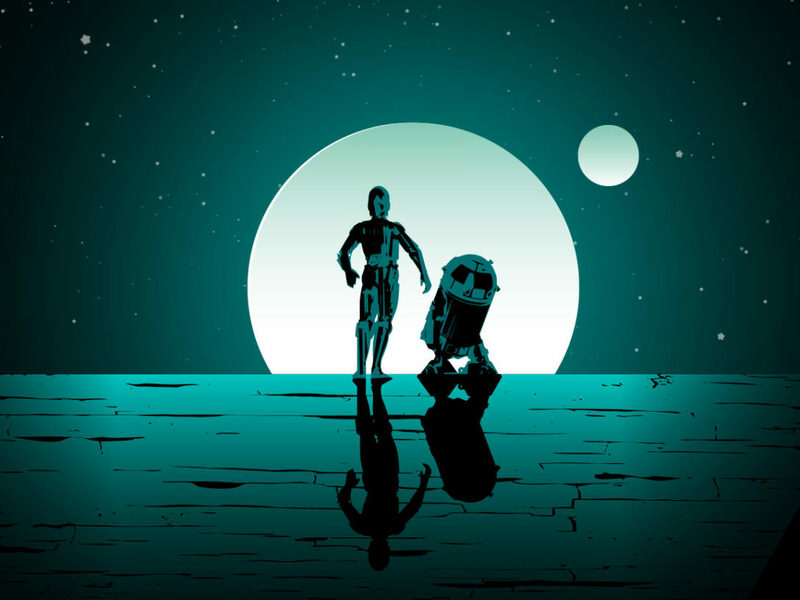 The author discusses her new Star Wars short story and the universal importance of the woman who raised Luke Skywalker. 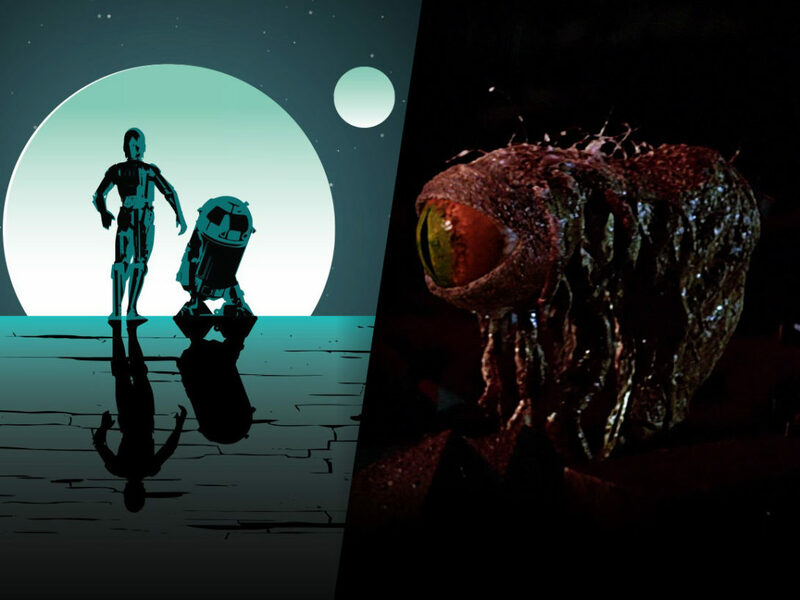 This article is the first installment in a special 3-part author interview series in honor of Star Wars Reads and last week’s release of the landmark Star Wars anthology, From a Certain Point of View. Obi-Wan Kenobi gets a lot of credit for putting Luke Skywalker on the path to greatness, but there’s another character whose essential patience and guidance is too often overlooked, author Meg Cabot says. Aunt Beru is the woman who took in the orphaned infant, reminded him to drink his blue milk to grow up big and strong, and who, in death, gave Luke the impetus to finally leave the planet farthest from the bright center of the universe. Cabot has been writing Star Wars fan fiction since she was a child, and even credits a certain royal rebel (and her creator) for inspiring her best-selling series that began with The Princess Diaries. Now as part of the all-star list of authors in the new From a Certain Point of View anthology, Cabot aims to give Luke’s aunt a chance to finally speak her mind in “Beru Whitesun Lars.” StarWars.com caught up with Cabot over e-mail to learn how a stormtrooper with a comically tactless sign helped inspire the tale. 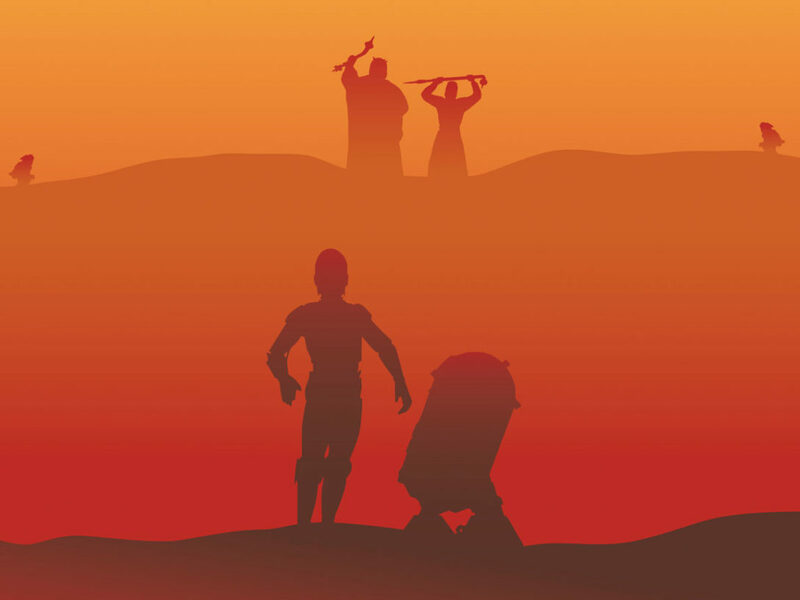 Meg Cabot: I saw Star Wars: A New Hope in the theater in 1977 when I was 10, and it rocked my world. I loved that it featured a rebellious princess in a dirty dress who knew how to use a laser blaster. I also loved that that princess resisted torture, then got revenge on her captors. I began writing Star Wars fan fiction almost as soon as I got home from the movie. 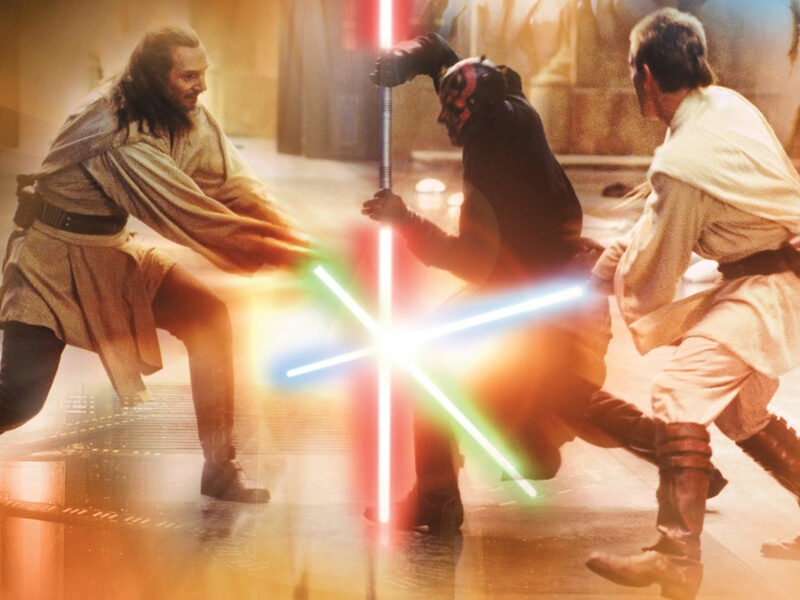 StarWars.com: When you first became involved in the anthology, were you able to choose who and what you wanted to write about? Meg Cabot: I chose Beru Lars right away. I was actually super paranoid that someone else might have chosen her first. But fortunately, the Force was with me. One of the reasons I wanted Beru so much is that I had just seen a guy dressed up for Halloween as a stormtrooper, carrying a sign that said “I Shot Aunt Beru.” After I finished laughing at how funny that was, because it was a little funny, I got mad. The Aunt Berus of this galaxy and the next never get any respect! 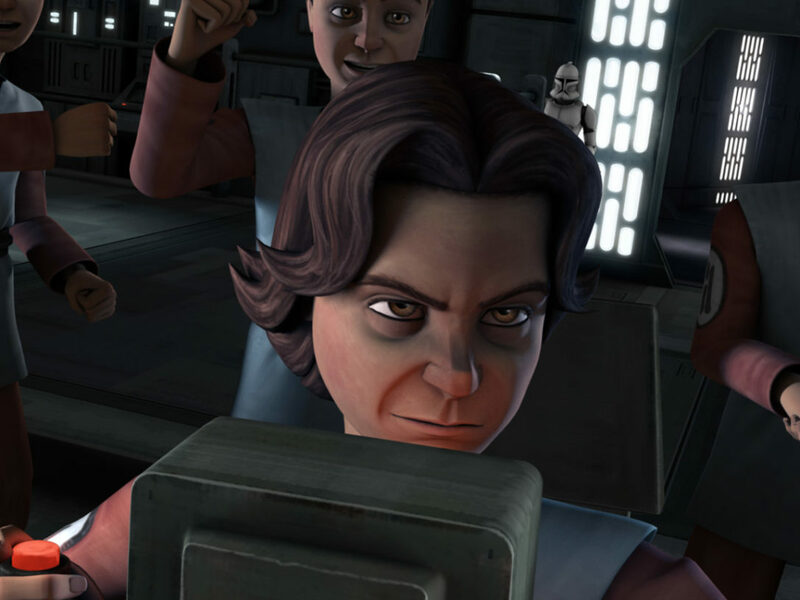 I mean, I get it, it’s a funny gag…but without Aunt Beru, Luke would never have saved the galaxy. So I’d been kind of looking for a way to tell Aunt Beru’s side of the story when Elizabeth [Schaefer, the editor of From a Certain Point of View] contacted me. I still feel like the Force had something to do with it. 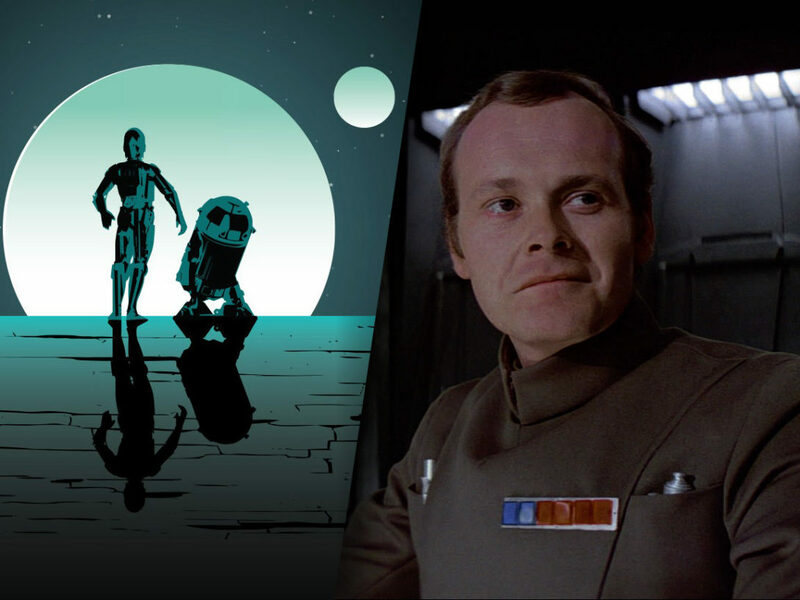 StarWars.com: Who is Beru Lars to you? 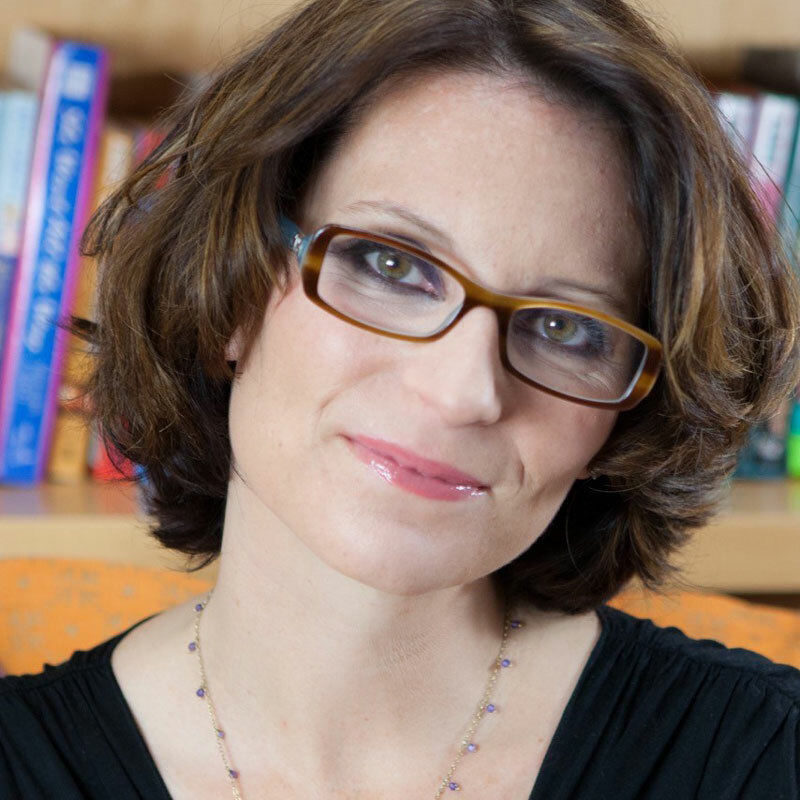 Meg Cabot: You’ll have to read my story to find out! No, but seriously, without Beru Lars, the Death Star would not have been destroyed. Besides the fact that she gave up her own hopes and dreams to raise Luke Skywalker, it was — SPOILER — her death that caused Luke to agree to leave with Ben Kenobi, rescue Princess Leia from Darth Vader, and work with her to save the Rebel Alliance. StarWars.com: I hope this isn’t too much of a spoiler, but you make a really interesting choice with the way you set up when Beru is speaking to the audience. Do you mind talking about why you framed the story in this way? 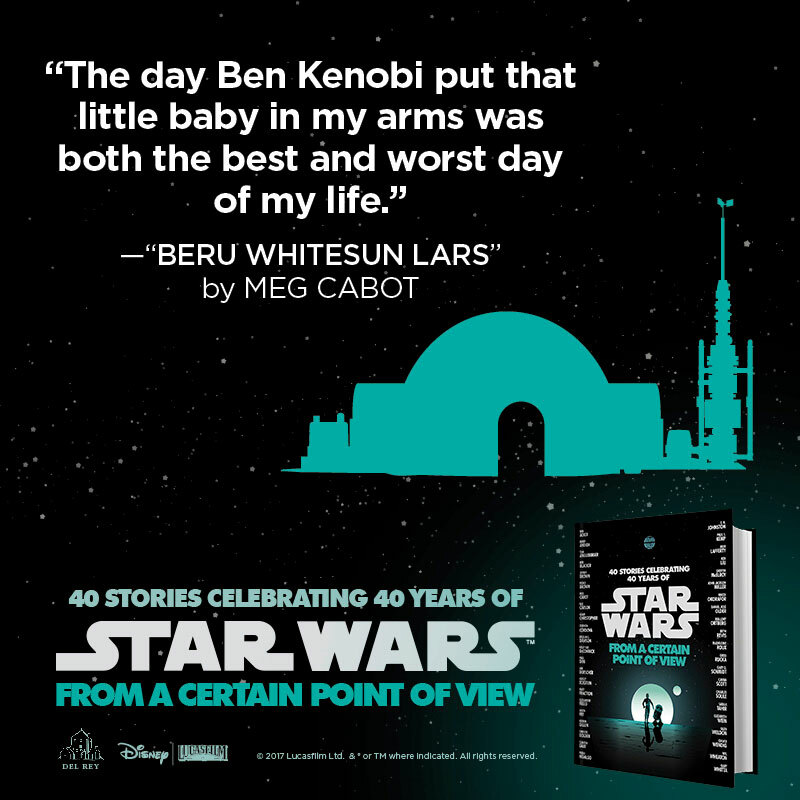 Meg Cabot: Beru isn’t given much screen time in either of the movies in which she appears, so in my piece I wanted to give her the opportunity to say all the things I imagined she might have on her mind…which turned out to be a lot! Although I was careful not to let her exceed her allotted word count. StarWars.com: You’ve given her such a sweet yet lively presence. The story really feels like you’re on a porch or belly-up to a kitchen table while she’s serving up blue milk and her famous blue-milk cheese. Meg Cabot: Ha, thanks! I did want Aunt Beru’s piece to feel as if the reader were having a conversation with her, maybe around the bonfire on Endor after the final battle in Return of the Jedi. And yes, of course, she’d be serving blue milk. 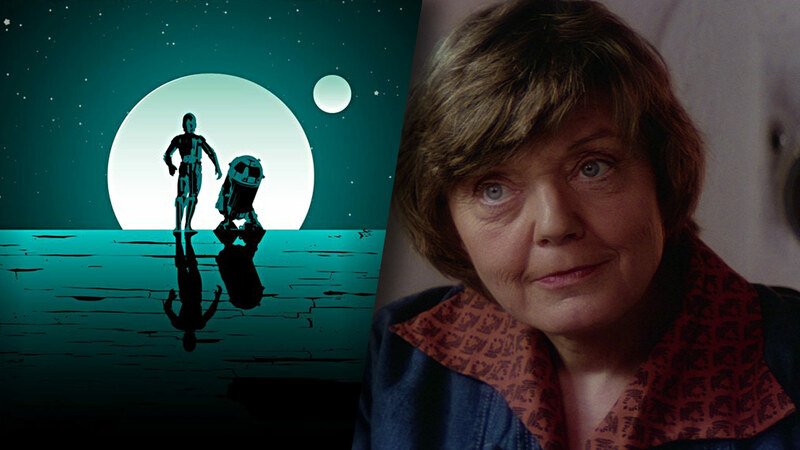 StarWars.com: Beru has so little screen time, but I think we all have this sense of the kindly surrogate mom who nags you because she loves you. How did you try to play to that perception and how did you aim to challenge it and expand on Beru beyond those few minutes on film? Meg Cabot: I think sometimes people like Beru Lars get taken for granted or even made fun of because they’re caretakers, and caretaking isn’t perceived as being as “important” a career as piloting an X-wing fighter or serving in the Imperial senate. But caretakers are very important, because they nurture and protect us, and also help try to convince our stubborn uncles to allow us to go to the Academy. Often they’ve given up their own dreams to raise us. And occasionally, they die for us. It’s important we give them the respect they deserve. StarWars.com: You’ve written nearly 80 published books, including the Princess Diaries series, most often in the genres of romance or paranormal fiction. 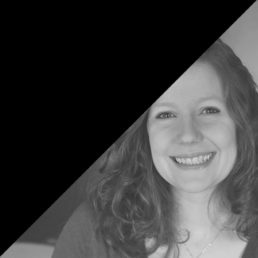 How has the experience of writing for an established universe like Star Wars differed from writing your own novels? 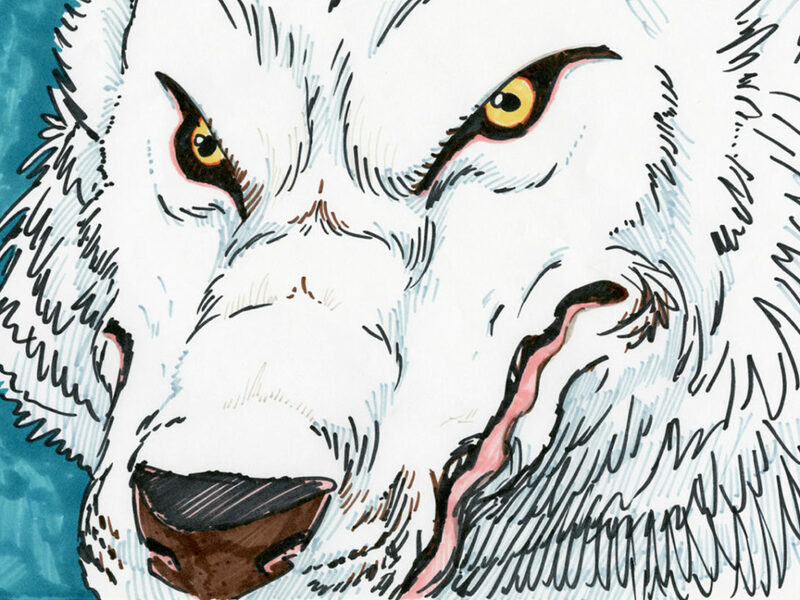 Meg Cabot: Since I started writing Star Wars fan fiction when I was 10 years old, writing this piece was incredibly fun and joyous, like going home. Most of my fan fiction was about Princess Leia showing up at my elementary school and informing me that I was secretly her sister and I needed to come with her right away to help fight the evil Empire. I was convinced that George Lucas was going to option one of these amazing stories for one of his sequels someday. After I told my mom this, and she broke the bad news that it probably wasn’t going to happen, I started making up my own characters and worlds, and never stopped. That’s how The Princess Diaries and Genovia got created. So I owe a lot to George Lucas! 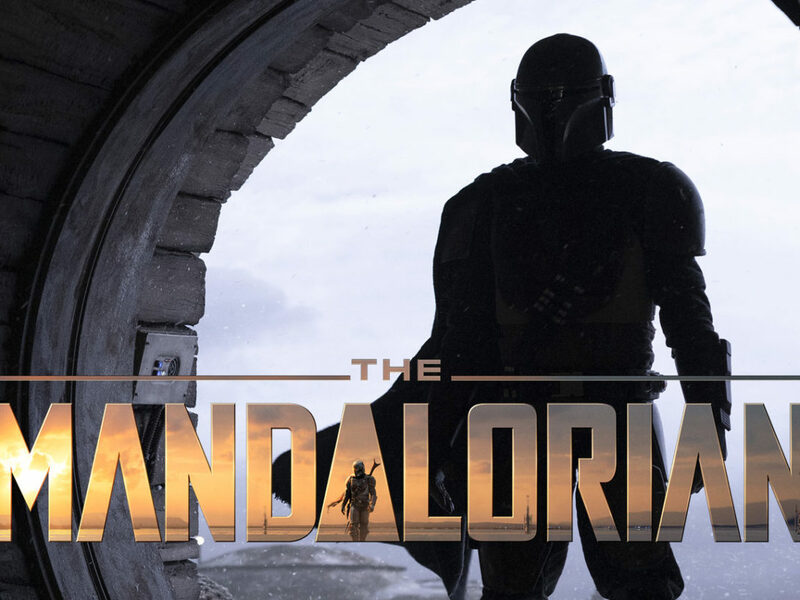 StarWars.com: If you could write something else for Star Wars, what character or era would you like to explore next time? Meg Cabot: I love the Star Wars universe so much. It brought me so much joy and happiness as a kid, got me started as a writer, and continues to bring me joy today. I would happily write anything about it ever asked of me. I would even pull out my old fan fictions, if anyone ever needs inspiration for a new movie.